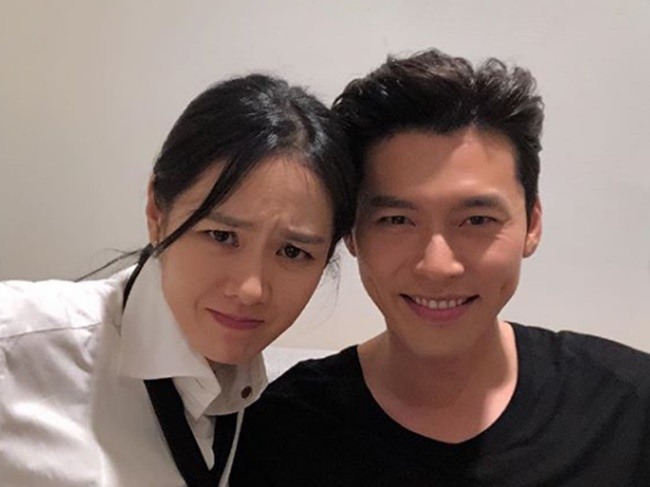 Hyun Bin and Son Ye-jin have denied they are dating amid rumors swirling about their relationship status in the wake of photos showing the two together at a supermarket in the US. Officials from agencies of both actors told multiple media outlets that the two were not on a date at the supermarket, and they were just spending time together as friends while visiting the US. The images uploaded on online communities clearly show Hyun and Son, who starred together in the 2018 crime film “The Negotiation,” shopping at a supermarket. This is not the first time the two were reportedly seen together. Earlier this month, an online post alleged that the two were traveling around Los Angeles and were seen having a meal together. Agencies representing the two also denied the rumor, saying they were not traveling together. However, the new pictures confirm the two met while in the US.